When I talk about the best places in the Philippines and the many epic destinations to visit here, I normally categorise the places into four areas – beaches, waterfalls, volcanoes and caves. The Philippines has some absolutely amazing places under these four categories. Considering 2019 has just started, I thought it would be fitting to do a feature on the best places I have been to under those four categories. So over the next four weeks, I will recommend the top 8 places to visit under each category. This week we will start with the best 8 beaches I would recommend you to visit in the Philippines in 2019. There are so many awesome beaches in the Philippines therefore, narrowing it down to 8 was a tough job. Why 8? For those that are familiar with numerology, they will know that the number 8 is considered a lucky number by the Chinese. This has also been adopted by most Asian cultures. As a quick lesson, for those that don’t know, the number 8 is pronounced “ba” in Chinese. This is very similar in pronunciation with the word “fa”, which means wealth or fortune. Therefore, number 8 is a very popular number in Asian culture. 1). Punta Ballo (Sipalay, Negros Occidental). I still remember the day when I set foot on the powdery white sand of Punta Ballo in 2010. I was very fortunate in that I was working on a project that was located in the mountains of Hinoba-an, which is a municipality bordering Sipalay. As part of our due diligence process, which included looking for accommodation, we happened to stumble across Punta Ballo. I could not believe what I saw. Here is a beach that had absolutely no tourists whatsoever, and had sand and water that was just as good, if not better than Boracay. There are a handful of resorts along the beach, two of which are run by foreigners. One, in particular, is a dive resort owned and run by a Swiss guy. Here is an area that was almost a totally unspoiled and deserted area. This is my very first photo taken at Punta Ballo in Sipalay. As you can see, there is no one around! This really is an undiscovered paradise. 2). Talikud Island (Davao, Mindanao). For those that know me and follow my blog, you will know that my wife is from Davao. 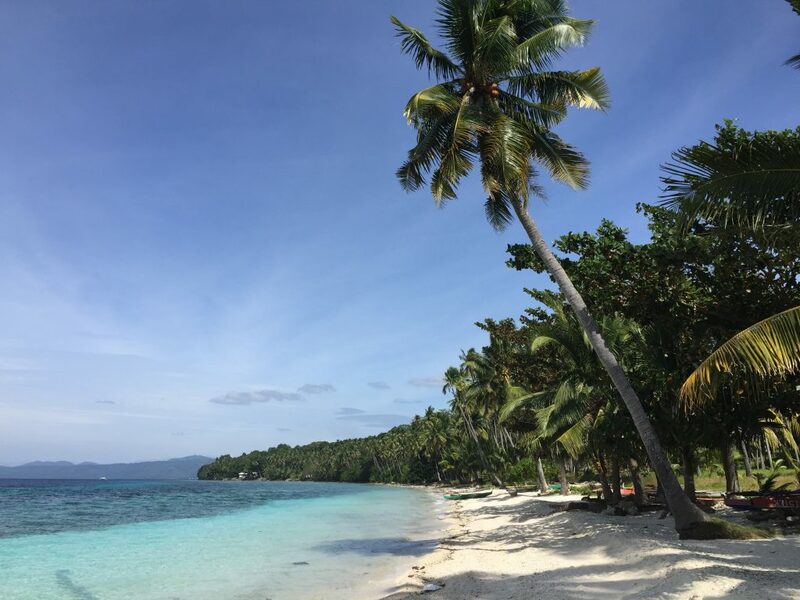 I have been very fortunate to visit a number of places in Davao, but my absolute favourite place, not just in Davao, but just about the whole of the Philippines, is Talikud Island. 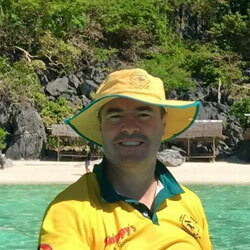 I first went to Talikud Island in 1999 as part of an island hopping adventure with my wife’s family. As we approached Talikud Island, I could see the white sand of the main beach glowing in the sun. This was unlike anything I had ever seen before. The colour of the water is absolutely amazing and needs to be seen to be believed. I was captivated and spellbound immediately. The last frontier – Talikud Island. You can actually see Davao City from here, yet the water and sand are so clean! 3). Patar White Beach (Bolinao, Pangasinan). This is yet another beach that is absolutely sensational but doesn’t have many tourists, particularly foreigners. This is a long stretch of white sand that extends for a couple of kilometres. 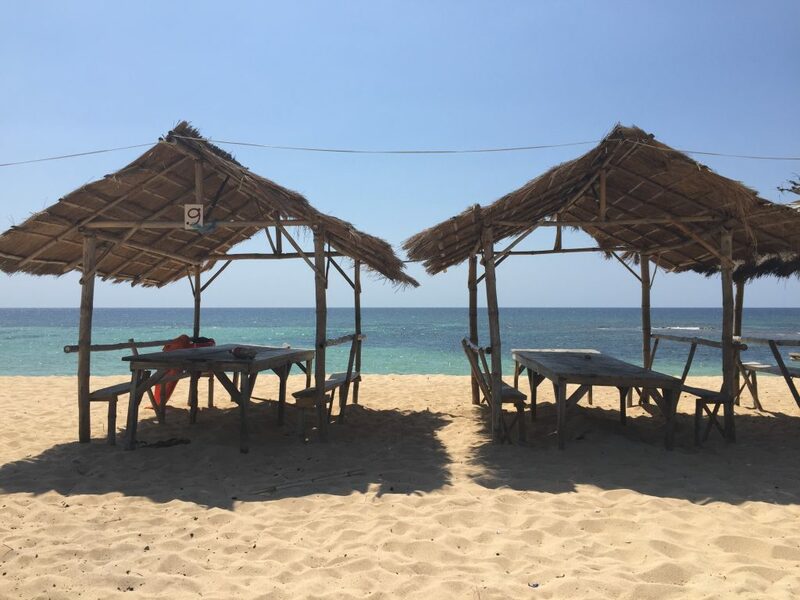 The best part about it is that you can drive to Patar White Beach from Manila. This means that you don’t need to go through the hassle of organizing flights or elaborate planning. It is a fairly long drive to get there, so it would be best to stay there for at least a night or two to make it worthwhile. There are so many other attractions in Bolinao, so it really is worth spending a few days there to take everything in. Patar white beach is a stunning beach. The entire time I was here during Easter in 2015, I did not see one single foreigner. That tells me that no one knows about this slice of paradise. 4). Alona Beach (Panglao Island, Bohol). 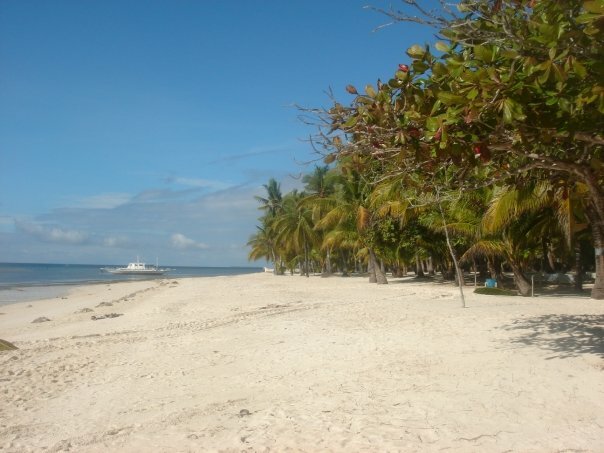 I first went to Bohol in 2007 and remember standing on the white sand at Alona beach on Panglao Island, marvelling at the beautiful blue water and the forest of palm trees lining the beach. I also remember thinking to myself that this would be a place that will soon take off as one of the most popular destinations in the Philippines. Lookout Boracay! Since then there has been a lot of developments in Bohol which doesn’t really surprise me. There really is so much to do aside from chilling on Alona beach. You can visit Chocolate Hills, the tarsier sanctuary and indulge on the floating restaurant as part of the Loboc river cruise. 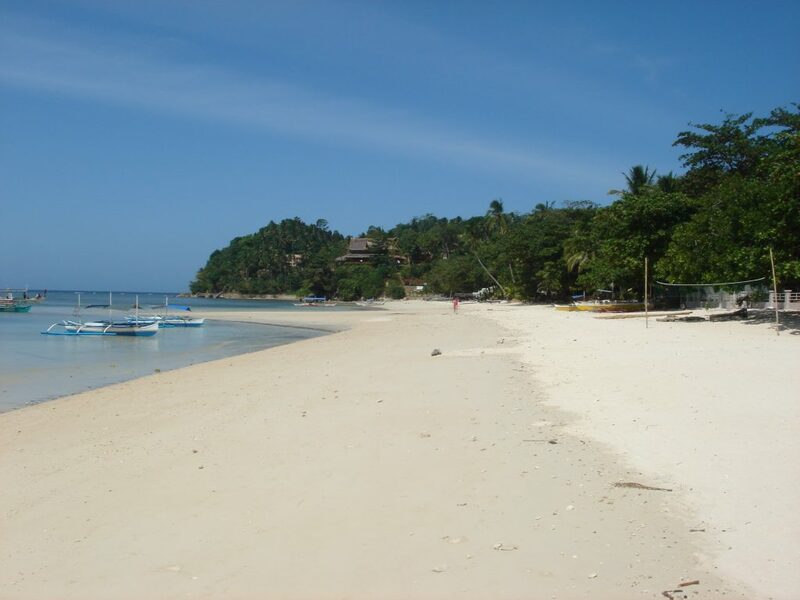 Getting back to beaches, Alona Beach is definitely one of the best beaches in the country. Alona beach on Panglao Island is absolutely amazing. This photo was taken in 2007. Once again, not a tourist in sight. This beach rivals Boracay without a doubt. 5). Natipuan Cove (Nasugbu, Batangas). 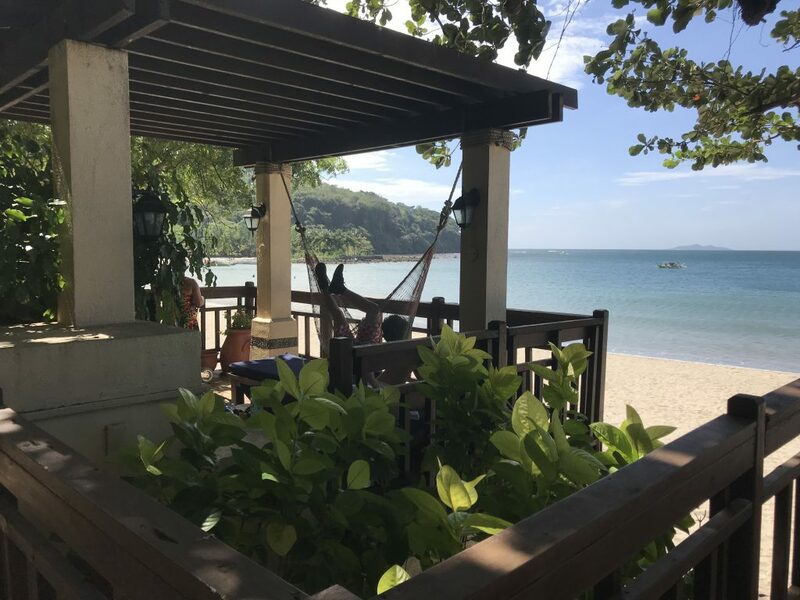 I have mentioned Nasugbu in Batangas on a number of occasions and have blogged about various locations in the area. Of all these places, one of the best beaches you’ll find is in Natipuan Cove, namely Terrazas de Punta Fuego. The only limitation here is that to gain access, you need to be with a member or be a member. Regardless, you cannot dispute the beauty of the beach. When you consider that it is only a 2.5-hour drive from Manila, it is absolutely mind-boggling that you can find a beach as beautiful as this so close to the Metro. A good friend of mine (who is a member of this resort) forced me to stay here for a whole day. It was tough going. 6). White Island (Camiguin, Mindanao). Is this an island or is it a sandbar? It doesn’t really matter but this is one of the most amazing places I have ever been to. 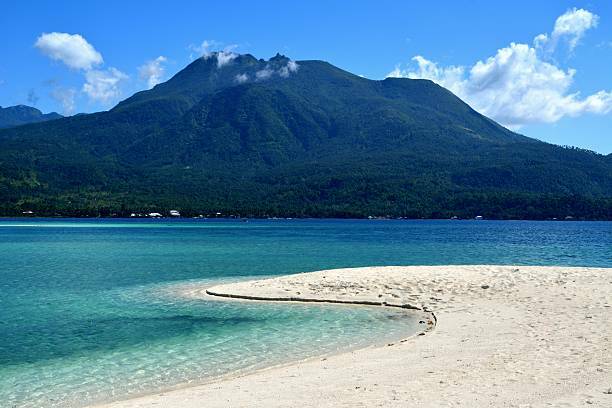 Pure white powdery sand located just over 1km from Mambajao, the capital of Camiguin Island. When I first visited here in 1997, I was enthralled with the fact that the white sand was illuminating with the sun shining on it. This is a totally uninhabited island which doesn’t even have any trees or foliage on it. It is just pure white sand and is smaller than a soccer pitch. White “island” just off the coast of Camiguin Island. You can see the main volcano, Mt Hibok-hibok lurking in the background. Paradise found! 7). Cotivas Island (Caramoan, Camarines Sur). 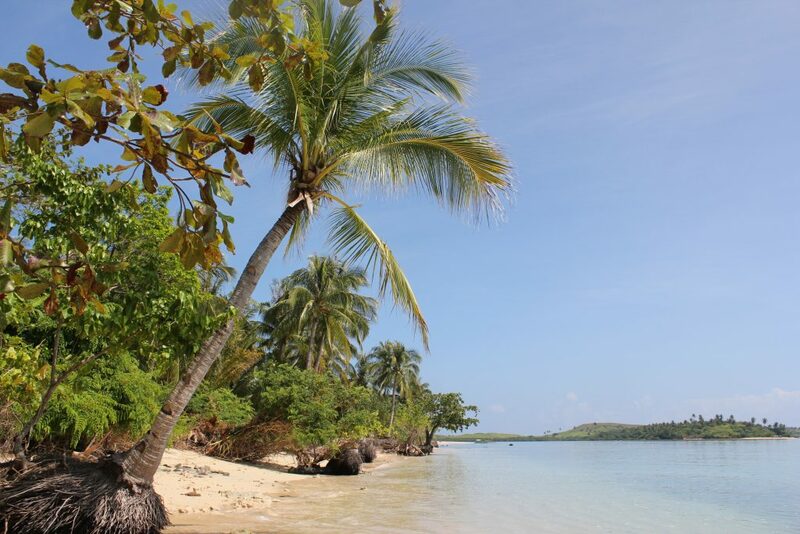 If anything typifies a deserted tropical island in the Pacific Ocean, then Cotivas Island is it. 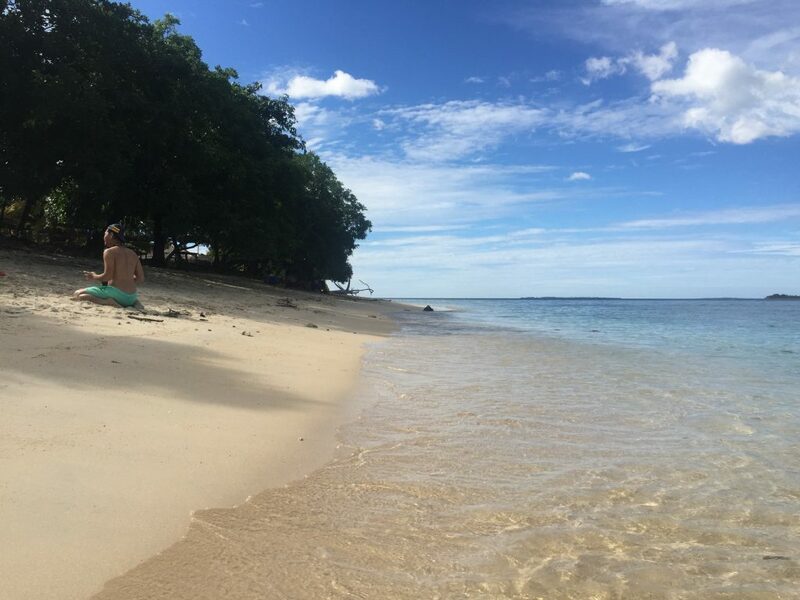 This is a remote, uninhabited desert island off the eastern coast of the Philippines. I remember standing on this beach looking at the Pacific Ocean in all of its splendour thinking to myself, “is this a dream?” Several countries have participated in Survivor Series on this island, and as wonderful as it is to visit as part of a day trip, I certainly wouldn’t want to spend weeks here as there is literally no sign of life. The water is so clear you actually can’t tell where the water finishes as it laps up on to the beautiful golden sand. This really is one of the most magical beaches I have been to in the Philippines. Remember I said that the water is so clear you can’t actually tell where the water finishes as it laps up onto the sand? Pure paradise. 8). Potipot Island (Candelaria, Zambales). This tiny island is located off the western coast of Central Luzon. You can drive there from Manila, however, the Zambales mountain range sits in between the NLEX (main expressway) and the coast. This means that you need to drive around the mountains in order to get to Potipot Island. However, do not let this deter you. Unfortunately, there has been some recent development on Potipot Island. Regardless of that, one cannot dispute the beauty of the clean golden sand that encircles the island. This is one of the most unique islands I have been to in the Philippines. Powdery golden sand that is postcard perfect, and you can walk around the island in less than 30 minutes! Please read the related articles below. Also, don’t forget to like and share this article with friends and family or leave your comments below.